CUBE4x4x4, Augertenstrasse 68, Mannheim, Germany. Nov - Dec 2011. 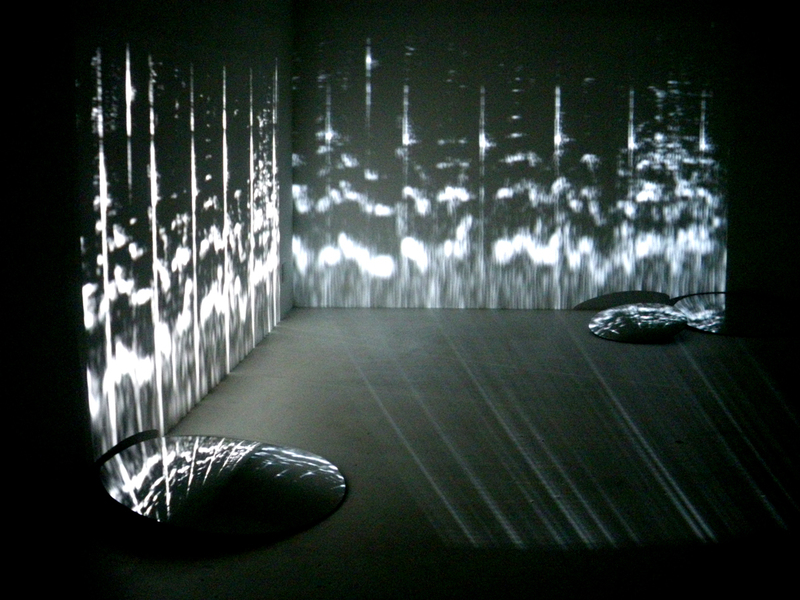 Tap Drip Frequencies was a projected sound frequency installation that responded to a field recording of a dripping tap: as well as a film of the dripping tap at varying levels of detail and sonic relevance. Referencing John Cage's interest in the sound of dripping taps, this piece also refers to George Brecht's event-score for Drip Music, initially performed in nearby Wiesbaden during the first Fluxus Festival in 1962. 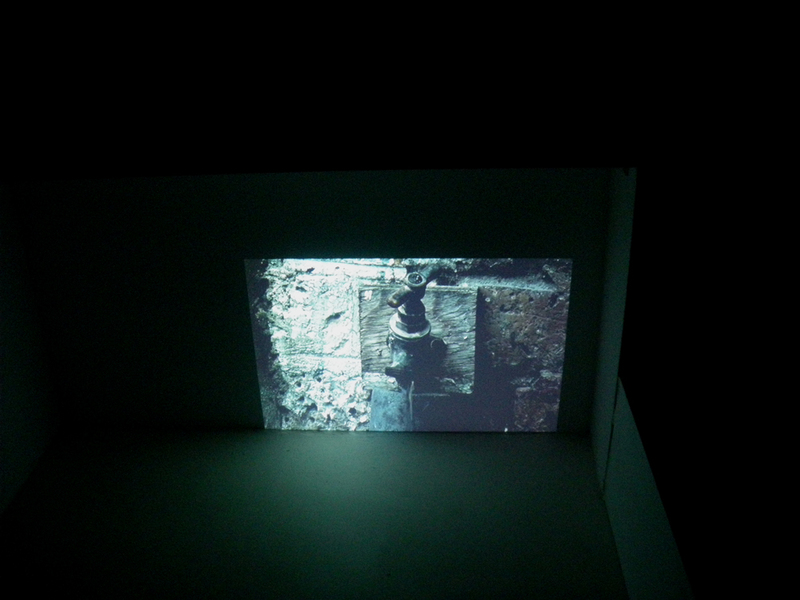 Beside the door to CUBE4x4x4 there is an outdoor tap, whose presence is part of the installation. However the actual recording of the dripping tap took place in the drain underneath the sculptor's sink at APT studios yard in Deptford, London, where my studio is situated. After many experiments in different locations, high quality hydrophones were sunk deep into the resonant chamber of the drain, whose acoustic environment resembles a Japanese suikinkutsu. The tap was turned to a quick drip setting in this ideally random hydrophone recording taped on a damp Autumn day. An interactive outdoor sound frequency projection also visualised the acoustic sounds of church bells ringing, airplanes passing and people talking, as well as other familiar sounds in this area of Mannheim. 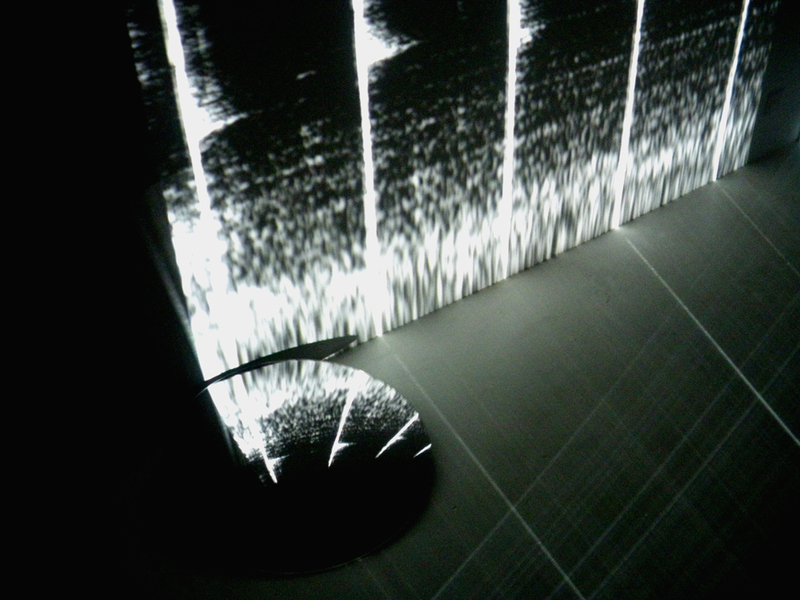 The live sonic frequencies were projected onto the walls of the buildings in the courtyard and visitors interacted with this. 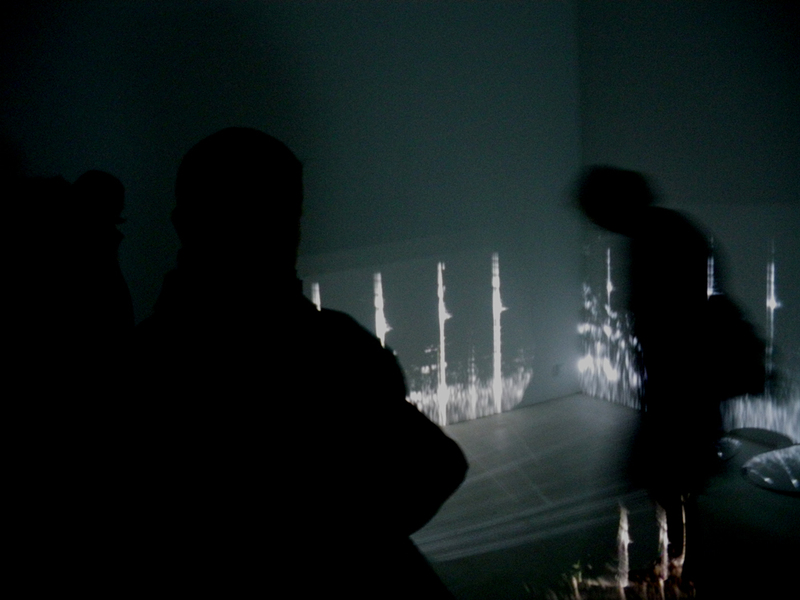 Many thanks to Blanka Heinecke and Uli Wagner for supporting this installation at Cube4x4x4: and also to sound artist Jez Riley-French for the quality of his hydrophones.